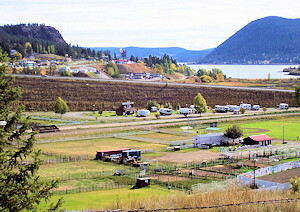 Our Community - Williams Lake, BC, Canada. 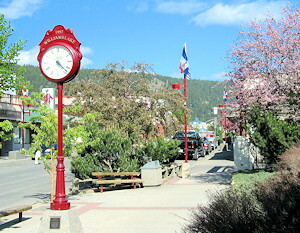 Williams Lake & District Chamber of Commerce. The City of Williams Lake is nestled in a beautiful valley in the centre of the Cariboo Chilcotin Regional District in the interior of British Columbia. The nearest major cities are Kamloops: 287 km/172 miles south of us on Highways 97 and 1, and Prince George: 238 km/143 miles north of us on Highway 97. To reach both it would take approximately 3 hours in driving time. We boast a population of 11,150, and 25,120 in the neighbouring area which creates an immediate service area of 29,504. The city services two regional districts: the Cariboo Regional District, population 63,000 and the Central Coast District, population 4,000. Many of these residents work, play, shop, and do business in our community. We take advantage of our four seasons here in Williams Lake with lots of outdoor recreation. The area and the city offer many amenities including golfing, fine dining, recreational parks, close proximity to numerous recreational lakes, winter recreation such as x-country and downhill skiing, world-class scenic river and horseback tours, and competitive trails for cyclists. WILLIAMS LAKE is a great place to be! You can experience the living history of one of BC’s original ranch headquarters with ranching and rodeo history at the Museum of the Cariboo Chilcotin. 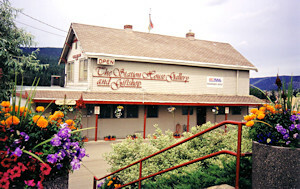 The Museum also houses the official BC Cowboy Hall of Fame. 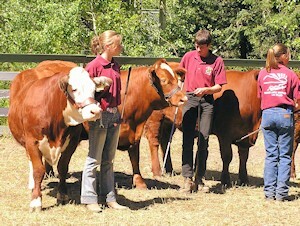 Our city offers a taste of the “True West” with the World Famous Williams Lake Stampede which provides entertainment for the whole family around the July 1st Canada Day weekend. Arts and Culture are booming in our city with live theatre and music performances, antique shops, the Art Walk Festival, Xats’ull Heritage Village and many great events and attractions taking place throughout the year. Enjoy shopping in our beautiful city where businesses make an extra effort to extend the warmest greetings to visitors from around the world. Then, after a rewarding day of shopping and sightseeing, relax in one of our many fine restaurants and reflect on your day. If you arrive by air, visit our information display at the Williams Lake Regional Airport or, if you’re driving, drop into our Visitor Centre at 1660 South Broadway. The scenery around Williams Lake will take your breath away. It’s impossible to match anywhere in BC. Williams Lake and the Cariboo Chilcotin region offer a wide variety of leisure activities, such as bicycling or walking, bird watching at one of our bird sanctuaries, stopping at many of our well-known attractions or playing almost any sport you can imagine. There is something for everyone! Our relaxed lifestyle makes our community an attractive place to be if you want to escape the hustle and bustle of the big City. We are especially proud of the fact that we have competed and won awards at a national level of Communities in Bloom. Experience the fabulous floral displays in the downtown area and take part in the Garden Tours. And if you come in winter, enjoy the beautiful lights and ambience as the City lights up for the Holiday season. 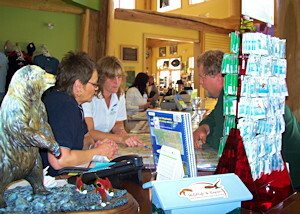 We invite you to visit us and enjoy the many pleasures of our Cariboo hospitality!